Eco-Schools is a fundamental initiative which encourages young people to engage in their environment by allowing them the opportunity to actively protect it. 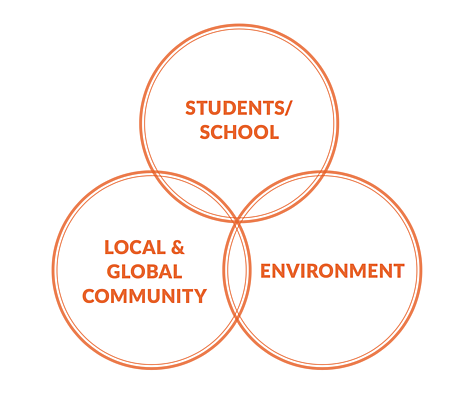 It starts in the classroom, it expands to the school and eventually fosters change in the community at large. Through this programme, young people experience a sense of achievement at being able to have a say in the environmental management policies of their schools, ultimately steering them towards certifiction and the prestige which comes with being awarded the International Green Flag. The Eco-Schools programme is an ideal way for schools to embark on a meaningful path towards improving the environment in both the school and the local community while at the same me having a life-long posi ve impact on the lives of young people, their families, school sta , and local authorities. The focus throughout is on the process and on educa on, however, many countries also combine it with other programmes, as it provides an integrated system for environmental management of schools based on a continuous improvement approach similar to ISO 14001/EMAS. Hence the programme’s great advantage is its exibility. 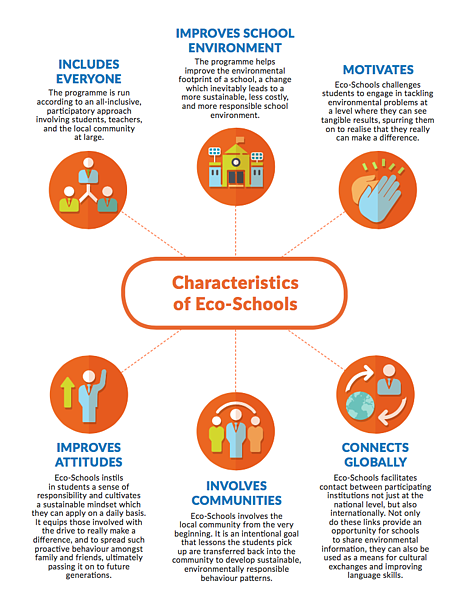 Learn about the SEVEN STEP PROCESS of implementing Eco-Schools Programme and the SDG THEMES that schools can choose from! The Foundation for Environmental Education (FEE) is a non-government, non-profit organisation promoting sustainable development through environmental education. They offer five programmes in over 60 countries. FEE is an international umbrella organisation with one national member organisation per country representing FEE on the national level and in charge of implementing FEE programmes nationally. WWF-Singapore represents the interests of Foundation for Environmental Education (FEE) and all 5 FEE programmes in Singapore. 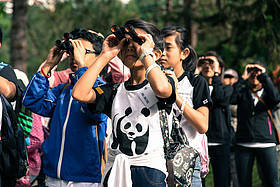 Eco-Schools Programme and Young Reporter for the Environment (YRE) Programme are currently implemented by WWF-Singapore.